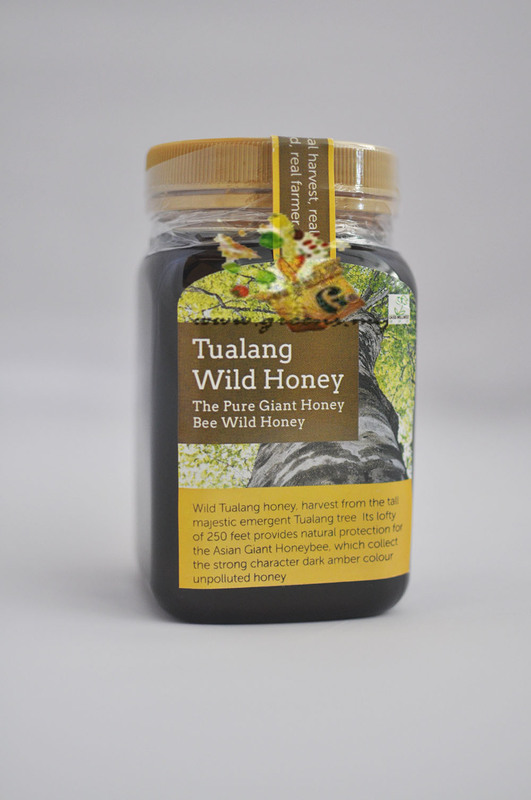 Wild Tualang honey harvest from the tall majestic emergent Tualang tree.Its lofty of 250 feet provides natural protection for the Asian Giant Honeybee, which collect the strong character dark amber colour unpolluted honey. 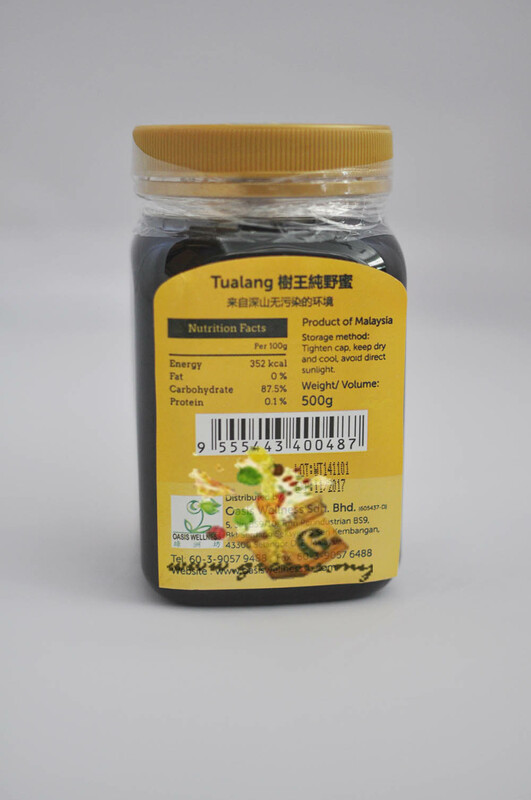 Postage for 1 bottle is around USD 19 to US/Canada. Postage for 2 bottles is around USD 19 + 3 to US/Canada. Postage for 3 bottles is around USD 30 to US/Canada. 4 bottles above - Every 3 bottles would be additional USD 30 to US/Canada. Wild honeys are not processed and heated, and believed to have much obvious effect and energy than the commons. It is collected and filtered with traditional method, purifying the honey while keeping it natural. These honeys are given the best care from farmers during the collecting and filtering process. They handle the bees and honey with heart to achieve sustainable production and guarding the purity of the honeys, presenting the best quality possible.